An American dancer and choreographer, Ms Tharp was born in Portland on July 1, 1941, to William and Lecile Tharp. Twyla is the niece of the late Bernice Gibble whom many remember as a teacher at Portland High School. The Tharp family lived in Dunkirk until 1951, when they moved to Rialto, California. Here her parents owned a drive-in theater on the path of Route 66. Twyla worked in the theater’s snack bar where she could watch the stars on the screen. Her mother, a piano teacher, began giving Ms. Tharp lessons when she was only two. At age four, Twyla began dance classes and was soon studying ballet, tap, jazz and modern dance. She graduated from Barnard College in New York City with a degree in art history and in 1963, joined the Paul Taylor Dance Company. Two years later, she formed her own company. Ms. Tharp’s work encompasses choreography with classical music, jazz and contemporary pop music. She has created more than 135 dances, choreographed for five Hollywood movies, directed and choreographed two Broadway shows and written two books. Her first book was an autobiography in 1952, Push comes to Shove, and her second, The Creative Habit: Learn it and Use It for Life, was published in 2003. In 2008 she was named as a Kennedy Center honoree. Prior to the Kennedy Center honors, Ms. Tharp had received many other honors and awards, including two Emmy Awards, 17 honorary doctorates and the 2004 National Medal of the Arts presented at the White House. Ms. Tharp has been quoted as saying, “I thought I had to make an impact on history. I had to become the greatest choreographer of my time. That was my mission. Posterity deals with us however it sees fit. 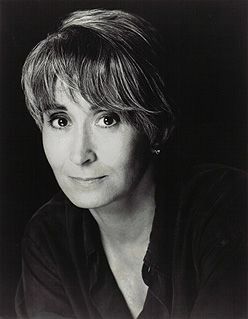 But I have it 20 years of my best shot.” We are pleased to add Twyla Tharp to our growing list of celebrities from Jay County.